As technologies have become ubiquitous in society and within higher education, institutions have begun to invest in the development of faculty to leverage digital technologies during their instruction. This has been especially true in teacher education programs where standalone educational technology courses have been eliminated in favor of an infusion model where candidate TPACK development occurs throughout the entire teacher education program of study. However, faculty development experiences do not always support the development of faculty knowledge in ways that support the dynamic interactions among content, pedagogy, and technologies that is needed to effectively teach with digital tools. In response to this gap in the field, using a mixed method approach this study sought to characterize a faculty development experience grounded in both TPACK and adult learning theory that was guided by a faculty developer. Findings suggest faculty found value in the ongoing nature of the development experience, and valued faculty developer support in meeting their goals. Findings also indicated that both participating faculty and teacher education candidates enrolled in their courses both had increases in their TPACK. Implications are discussed within the context of teacher education and faculty development opportunities in higher education. Mourlam, D. (2017). Preparing for Infusion: Emergence of a Model for Faculty TPACK Development. 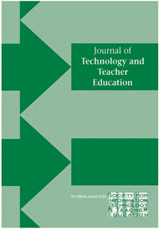 Journal of Technology and Teacher Education, 25 (3), 301-325. Waynesville, NC USA: Society for Information Technology & Teacher Education. Retrieved April 25, 2019 from https://www.learntechlib.org/primary/p/177836/. Branson, R.K., Rayner, G.T., Coxx, L., Furman, J.P., King, F.J., & Hannum, W.H. (1975). Interservice procedures for instructional systems development: Phase II-Design. Fort Benning, GA.
Centra, J.A. (1976). Faculty development practices in U.S. Colleges and universities (P. 96). Princeton, NJ: Educational Testing Service. Glaser, B., & Strauss, A. (1967). The discovery of grounded theory: Strategies for qualitative research. Chicago, IL: Aldine Publishing Company. Harris, J. (2005). Our agenda for technology integration: It’s time to choose. Contemporary Issues in Technology and Teacher Education, 5(2), 116–122. Harris, J.B., & Hofer, M.J. (2011). Technological Pedagogical Content Knowledge (TPACK) in action: A descriptive study of secondary teachers’ curriculum-based, technology-related instructional planning. Journal of Research on Technology in Education, 43(3), 211–229. McQuiggan, C.A. (2007). The Role of Faculty Development in Online Teaching’s Potential to Question Teaching Beliefs and Assumptions. Online Journal of Distance Learning Administration. 10(3). Mishra, P., Koehler, M.J., & Zhao, Y. (2007). Communities of designers: A brief history and introduction. In P. Mishra, M.J. Koehler, & Y. Zhao (Eds. ), Faculty development by design: Integrating technology in higher education (pp. 1-22). Charlotte, NC: Information Age Publishing. Pamuk, S., Ergun, M., Cakir, R., & Yilmaz, H.B. (2013). Exploring relationships among TPACK components and development of the TPACK instrument. Education and Information Technologies, 20(2), 241–263. Shulman, L.S. (1987). Knowledge and teaching: Foundations of the new reform. Harvard Educational Review, 57(1).